Celta Vigo forward Nolito is one of the hottest things in European football right now and his dazzling displays have caught the eyes of top European clubs of which FC Barcelona are favourites to sign the player to compensate their forward line. Reports over the past few weeks have it that Manchester City have joined the race to sign the player as new coach Pep Guardiola is a big fan of the player. This speculation has now improved as Catalan newspaper Mundo Deportivo have reported that the winger have chosen to play in England. Celta Vigo have already made it known that the player will be leaving this summer and any club which will table his release clause of €18 million will have him and with Barcelona and AC Milan reluctant to pay that fee, it looks like the player is more likely to join Manchester City. FC Barcelona have been linked with the player for so long and were close to getting him in January but an agreement was not reached between the club and Celta Vigo as they were not willing to pay his buyout clause. 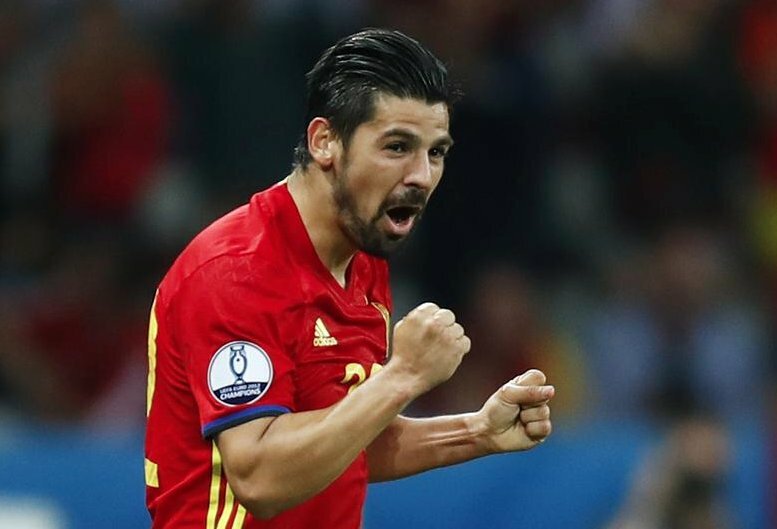 Nolito is currently with the Spanish National Team in the ongoing Euro 2016 tournament. The player scored and assisted in Spain’s last game against Turkey when they won 3-0.